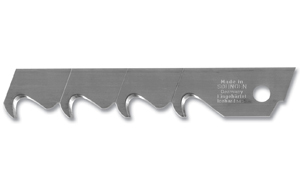 This revolutionary Multi-Blade Auto-Load Heavy-Duty Utility Knife is the perfect solution for continuous blade changes with its automatic blade load feature. It holds up to five snap-off blades for up to 40 fresh cutting edges in just a snap. When a blade segment gets dull, simply snap it off for a new one and continue working. When you have used all of the segments on a blade, just move the blade slider forward to eject the blade and then slide it all the way back to automatically load a new blade. The sleek, comfortable handle is with automatic blade lock is preloaded with three LB Heavy-Duty Silver Snap-Off Blades for cutting through construction materials such as drywall, roofing, flooring, rubber, linoleum, gasket materials, and more. 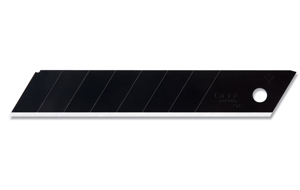 Use replacement blades LB, LBB, LH, and L-SOL. 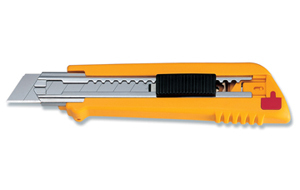 A great cutter for cutting drywall, roofing, leather, rubber, plywood, etc.